I mentioned before that I've managed to find a teacher with a certificate in Kito ryu. 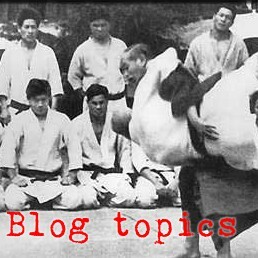 Apparently, sometime in the past he deliberately shifted away from teaching what he calls "the old stuff" to teaching a more modern aikido because he considered the older Kito-flavored aiki to be rough and abusive to his students. Additionally, he and some of his senior students have told me that they'd always considered Tomiki aikido, with its distinct Kito-flavoring to be very direct, linear, rough, crash&smash-type aikido. But this past weekend I got to play with them at their yearly Fall Aiki Fest, and when it came my turn to show & tell, I got to lead a class in the ushirowaza from Koryu Dai Ni. Everyone seemed to enjoy it and do well. I had an aikido sandan tell me that he'd never seen ushirowaza like that and that he loved it. My Kito connection told me that it reminded him distinctly of "the old stuff." And some of the other instructors told me that this was nothing like the preconceptions they had of Tomiki (crash&smash) aikido. It was apparently sufficiently sophisticated and light enough to be delightful. As for my observations from getting to play with them, their aikido is beautiful and sophisticated in a different way from mine. It appears that they are much more striking-oriented, whereas we characterize Kito-derived arts as more grappling-oriented. The tactical expression of their aikido that they teach at the Police Academy seems to be much closer to the aikido that I'm used to - more tori-initiated and more grappling -oriented. 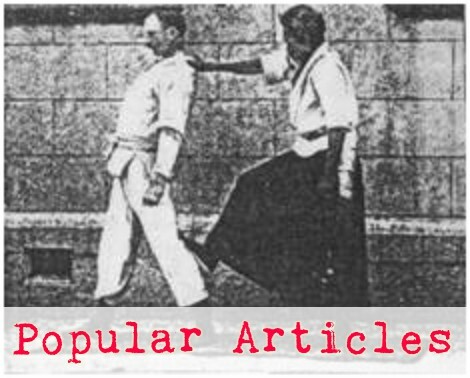 Their aiki appears to be highly influenced by the Kali that they have practiced for years alongside their aikido. This influence seems to be most distinct in their irimi. These Kali-flavored irimi seem to serve the same purpose as our wrist releases (move from all-out to all-in through ma-ai without getting killed and get a connection and a kuzushi via atemi). I'm definitely looking forward to playing with these folks again, so I can unload some of our Kito-flavored Tomiki-ryu on them and absorb some of their Kali-flavored, more Daito-esque aikido. Perhaps, also, having seen that Kito-flavored aiki can be expressed gently, I'll be able to talk my Kito-connection into unloading some of the "old stuff" on me.